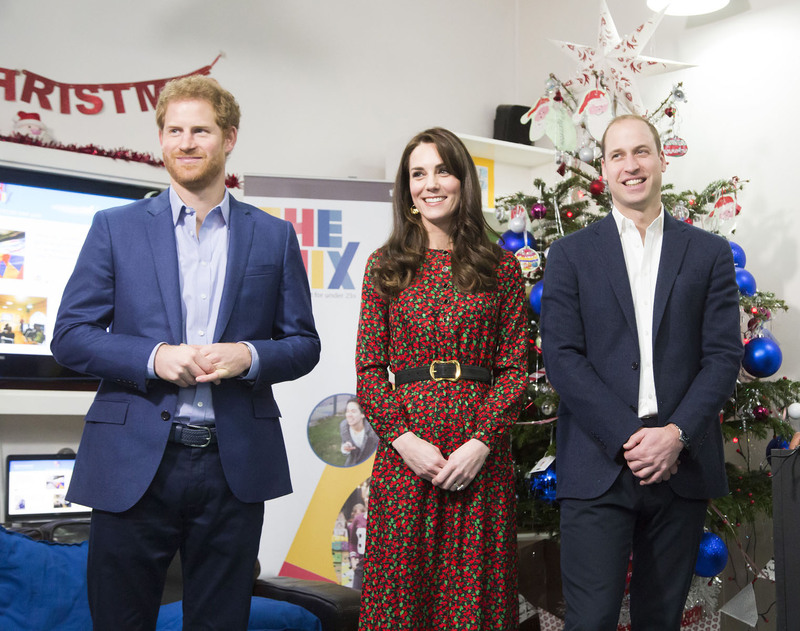 The Duke and Duchess of Cambridge and Prince Harry celebrated the work of volunteers and counsellors at the Heads Together Christmas party hosted by youth support service The Mix. 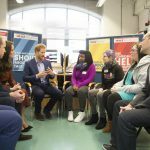 The Duke and Prince Harry joined a session where counsellors and volunteers will share knowledge and get training on dealing with a range of issues, with a focus on supporting people who are suicidal and helping young people coping with homelessness. 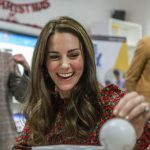 The Duchess will join a live online chat about counselling with volunteers and young people from around the UK. 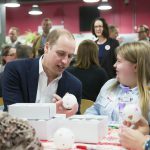 Their Royal Highnesses spoke to volunteers and service users from The Mix about their personal experience of online and telephone counselling support. The Mix gives young people aged 13-25 a helping hand to find their way through any challenge, from homelessness to finding a job, from money to mental health, from break-ups to drugs. In addition to celebrating the fantastic work of those who volunteer with The Mix, Heads Together wants to highlight the need for more volunteers within our network of 8 charity partners. See below for the current opportunities available across the UK to support many people in getting the help that they need. The Mix offers support to people aged 13-25 helping them find their way through any challenge, from homelessness to finding a job, from money to mental health, from break-ups to drugs. When you volunteer at The Mix you can take part in online and offline volunteering that is exciting, challenging and rewarding. Volunteers with The Mix can gain CV skills and get the chance to meet other friendly, interesting people. Our volunteers are incredible. Thanks to their dedication we can ensure everyone with a mental health problem has somewhere to turn for advice and support. There's lots of ways you can get involved with Mind. Right now, Mind is keen to hear from people who'd like to volunteer in their charity shops on high streets across England and Wales. Joining one of Mind’s teams can be a great way to learn new skills and can be an important stepping stone back into work. You can also get training to NVQ level or join an apprenticeship scheme. YoungMinds is the UK’s leading charity committed to improving the emotional wellbeing and mental health of children and young people. Driven by their experiences we campaign, research and influence policy and practice. There are lots of ways to volunteer for Young Minds, including the parents helpline, office-based internships and becoming a young activist. The Campaign Against Living Miserably (CALM) is an award-winning charity dedicated to preventing male suicide. If you would like to volunteer for CALM they offer opportunities in the office or out and about at events and fundraisers across the country. You can help distribute their magazine, represent CALM at gigs and festivals, be part of a cheering team at a number of sporting events and loads more. Place2Be provides emotional and therapeutic services in primary and secondary schools, building children's resilience through talking, creative work and play. Place2Be offer placements to counselling/therapy students who need hours for accreditation or would like the experience of working with children. Place2Be is always on the lookout for enthusiastic volunteers to help deliver a busy calendar of events which help to fund its vital services. Best Beginnings focuses on the period between conception and a child’s third birthday, where the foundations of a healthy and fulfilling life are laid. Founded by Alison Baum in 2006, we aim to ensure that every child has the best start in life. There are lots of ways to get involved with Best Beginnings including event support, working in the office and community engagement. The Anna Freud National Centre for Children and Families is a children’s mental health charity with over 60 years’ experience of caring for young minds. Our vision is a world in which children and their families are effectively supported to build on their own strengths to achieve their goals in life. One of ways to support their work is by fundraising. They suggest offering fundraising support, putting on a challenge event or online fundraising. 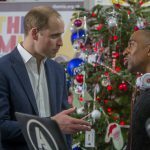 Contact is a collaboration of leading military charities, support organisations, the NHS, the Ministry of Defence, UK Psychological Trauma Society and top academics working together to make the most effective mental health support easily accessible to Service Personnel, Ex-Service Personnel and their families. Help For Heroes is a partner of Contact, they offer lots of opportunities to volunteer including taking part in collection weekends in supermarkets, supporting the events team or joining their local network of volunteers.